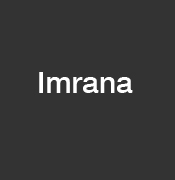 Profile of the victim : Imrana reportedly used to weave carpets at home for an export firm. She was in love relationship with Irfan. They both were the residents of Bhojpur Ghaziabad. Place of Murder : Bhojpur Ghaziabad. Assassination : Imrana, was set on fire inside her house in a case of what the police called ‘moral vigilantism’. The victim had screamed for help for about 20 minutes before neighbours arrived only to find her still smoldering. She was admitted to a local hospital where she later succumbed to her injuries.